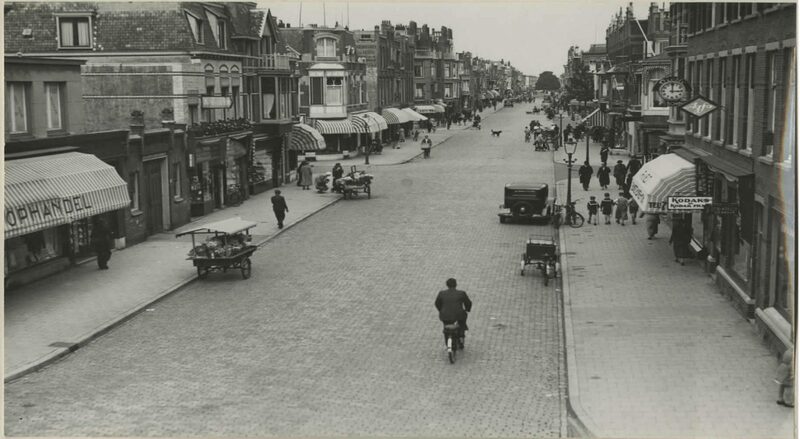 From 1920 on this formerly quiet residential street developed into a comprehensive and lively shopping street, which it has remained ever since. A view of the peaceful Theresiastraat, around 1915. A view of the other side of the Theresiastraat. 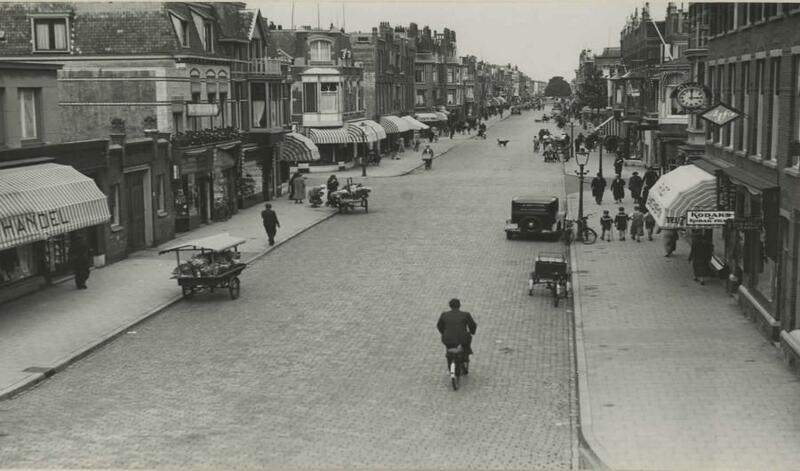 Shoppers in the Theresiastraat viewed from the Wilhelminastraat, around 1936. 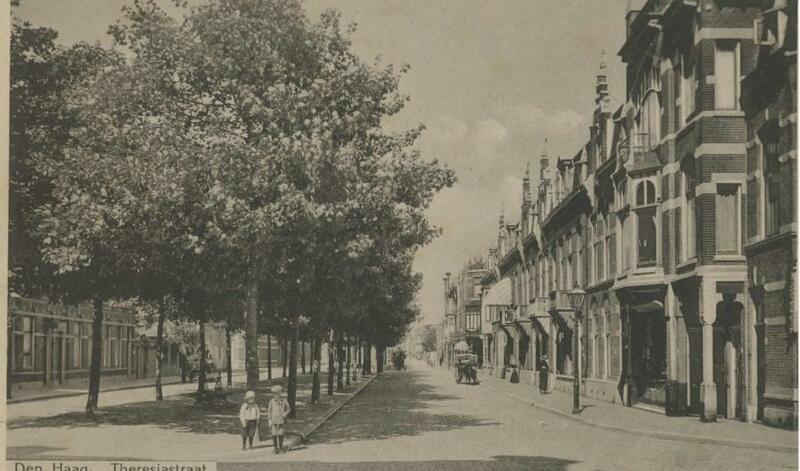 The Theresiastraat was initially meant to be the last of the first streets in Bezuidenhout, which ran perpendicular to the Bezuidenhoutseweg. When the street was extended in a subsequent development plan, the local authorities wanted a residential area with several wide and grand avenues. To emphasise the prominent nature of the new neighbourhood, four of the first streets were given the forenames of Queen Regent Emma van Waldeck-Pyrmont (1858-1934): Adelheid, Emma, Wilhelmina and Theresia. Initially the Theresiastraat was not a shopping street. The residents of Bezuidenhout could get their basic shopping from corner shops in the side streets, but for anything else they had to go to the city centre. This began to change around 1920. Shopkeepers discovered the Theresiastraat and, one after another, converted ground floor spaces into shops. 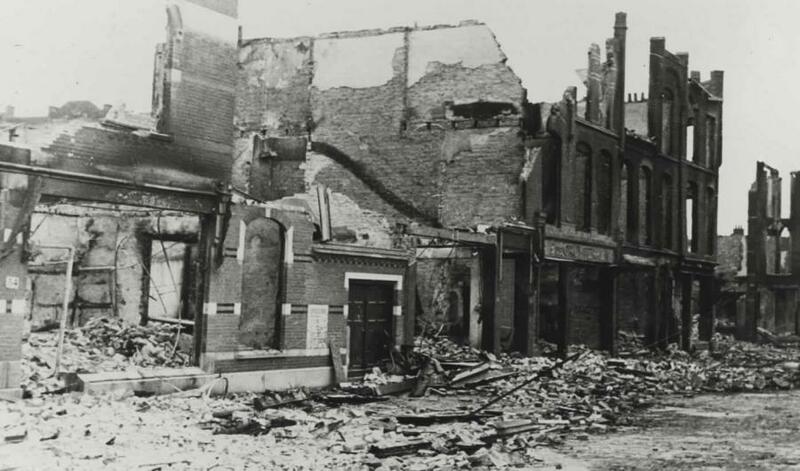 The street now contained a bed and fabric shop, chemist, camera shop, hardware shop, baker, furrier, butcher, tobacconist's and a flower shop. 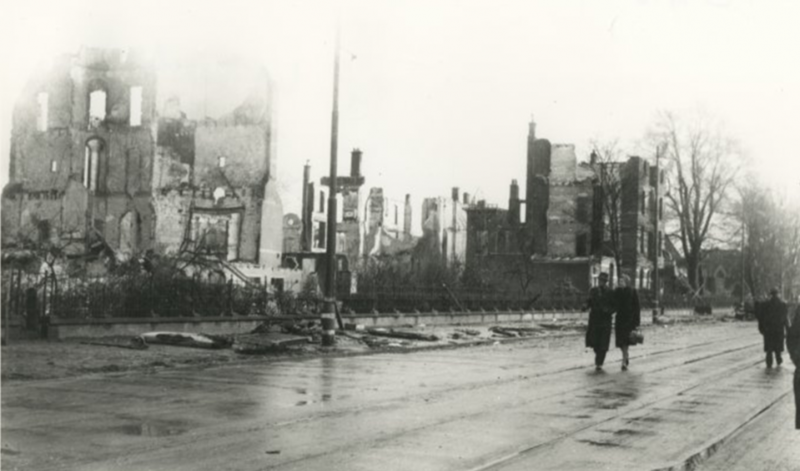 The Theresiastraat was hit by the bombs that were aimed at the Haagse Bos. 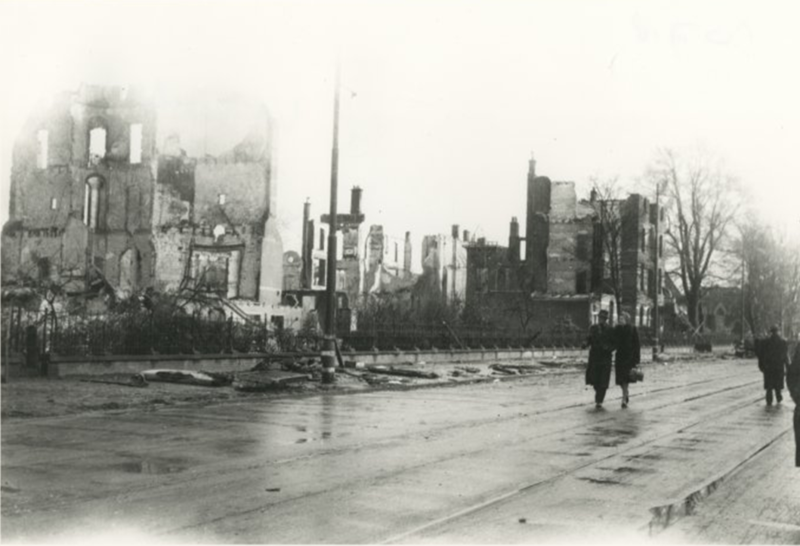 Large sections of the street were destroyed, mainly by the raging fires. After the war, it was reinstated as a shopping street. 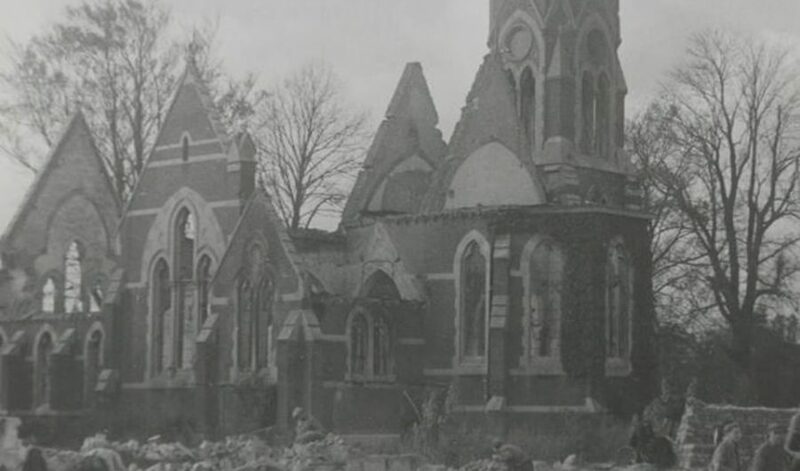 A number of buildings at the beginning of the street, that had survived the bombing, were eventually demolished in the seventies to make way for new shops. "our house was purged "
Adapted from an eyewitness account by B. van Oosterhout, who was 23 years old at the time of the bombing. Before the war there were already shops in this street. 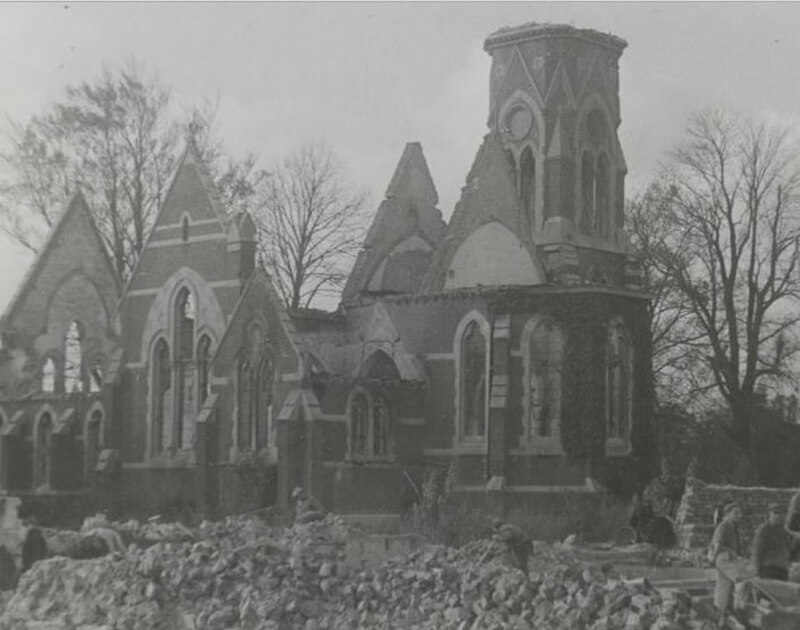 The Anglican Church of St.Johns and St. Philips was demolished, but reconstructed at Ary van der Spuyweg.